Bring in a spouse and they will receive a free exam and consultation. Click here for printable coupon. Welcome to Bode Chiropractic Accident & Wellness Center! Chiropractor Oldsmar, Tampa, Florida: the caring health professionals at Bode Chiropractic Accident & Wellness Center are dedicated to helping you achieve your wellness objectives and recieving the quickest relief of your injuries and symptoms with advanced treatments like Spinal Decompression for Disc Injury Pain. As a Chiropractor located in the heart of Oldsmar/Oldsmar, Florida, Bode Chiropractic Accident & Wellness Center is well known for the highest quality of care -- combining skill and expertise that spans the entire auto-accident and wellness spectrum. Dr. Garrett Bode is commited to bringing you better health and a better way of life by teaching and practicing the true principles of chiropractic/wellness care. Bode Chiropractic is centrally located to serve patients in Tampa, Oldsmar, Palm Harbor, Safety Harbor, & Town & Country Florida. Patients seeking treatment at Bode Chiropractic Accident & Wellness Center with Dr. Garrett Bode are assured of receiving quality care through the use of modern equipment and technology, as well as comprhensive documentation for those patients involved in Auto Accidents. Dr. Garrett Bode and his staff have a genuine concern for your well-being! If you are new to our website, please feel free to discover and learn about chiropractic and wellness care. If you are interested in starting your journey towards wellness with Dr. Garrett Bode, please subscribe to our award winning newsletter. If you are already a newsletter subscriber, please explore the member wellness section of our website for wellness articles, resources, SPINAL DECOMPRESSION, and health facts---specifically targeted by Dr. Garrett Bode to your wellness needs and interests. 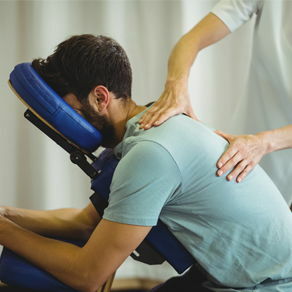 Bode Chiropractic is now proud to introduce "The Bode Decompression Technique" for those patients suffering with Disc and other Spinal Related problems. Call Today to find out more! "I have recommended the Spinal Decompression therapy to several people, and my son has gone through the treatment as well."